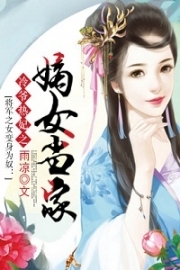 You’re reading novel King of Gods Chapter 446 - Princess Jin online at LightNovelFree.com. Please use the follow button to get notification about the latest chapter next time when you visit LightNovelFree.com. Use F11 button to read novel in full-screen(PC only). Drop by anytime you want to read free – fast – latest novel. It’s great if you could leave a comment, share your opinion about the new chapters, new novel with others on the internet. We’ll do our best to bring you the finest, latest novel everyday. Enjoy! Speaking up to here, Third Highness couldn’t help but become secretly smug. Princess Jin was beautiful and she had entered the Sacred True Dragon Gathering. He believed no one could resist this bait. What made him disappointed was that Zhao Feng seemed to become more tired and only looked up when ‘Sacred True Dragon Gathering’ was mentioned but didn’t display too much interest. If Third Highness was to know that this youth in front of him had not only went to the Sacred True Dragon Gathering and became an overwhelming prodigy that was ranked number one or two, who knew what he would think. Zhao Feng had never heard of Princess Jin before and only remembered Princess Linyue from the Purple Rising Great Country. Of course, there were several thousand partic.i.p.ants in the Sacred True Dragon Gathering and those that Zhao Feng had impressions of were all at least in the top one or two hundred or those he had fought before. More precisely said, only those ranked in the top hundred raised his interest. For the current Zhao Feng, the Sacred True Dragon Gathering was a glory of the past and didn’t have many challenges left. He was obviously not that interested in it anymore. At this moment in time, the G.o.d’s Spiritual Eye was undergoing a change and Zhao Feng’s left eye felt unsuitable and became more tired. Zhao Feng’s eyes flashed and said with a smile. Hearing this, Elder Jiang, Third Highness and company all revealed looks of overwhelming joy. Elder Jiang felt weird. Why did Zhao Feng suddenly change his mind and go with them? He felt that this answer lay in the fact that Zhao Feng kept on rubbing his left eye. Elder Jiang’s guesses were correct. Thirteen countries. Secondly, he was interested in this Dragon Killing Alliance. Zhao Feng returning to the Cloud area meant enmity with the Iron Dragon Alliance. Third Highness raised his hand and Elder Jiang summoned a flying eagle from the sky. Zhao Feng didn’t decline and sat on the eagle’s back. Elder Jiang controlled the flying eagle and soon flew into the clouds. Zhao Feng didn’t ask for the address. On the way, he asked the specific detail of the Cloud area and especially about the Iron Dragon Alliance and Thirteen countries. Elder Jiang, Third Highness, and company answered everything. However, as time pa.s.sed, the sleepiness on Zhao Feng’s became heavier. Zhao Feng swiped the ancient metal ring with his hand and a small grey cat slightly bigger than a palm landed on his shoulder. A light flashed in Elder Jiang’s eyes. This was the first time he had seen an interspatial ring that could store spiritual pets. This cat in front of him gave him an intelligent feeling and after summoning the little thieving cat, Zhao Feng closed his eyes and slept. In the gusts of wind, Zhao Feng’s blue hair waved with a softness and mysteriousness. The people from the Sky Rich Imperials were surprised. They didn’t think that this youth who had defeated the Blood Sickle Slaughterer would enter sleep so casually. However, Zhao Feng’s sleep was different from the G.o.d’s Spiritual Eye evolution last time. On the journey, Zhao Feng would wake up every couple of hours or half a day but would fall asleep soon after. The group from the Sky Rich Imperials was first surprised but then got used to it. Zhao Feng’s ‘sleeping problem’ was accepted by them, even though they felt it was slightly weird. In an underground palace with dark red stones. A blood robed man appeared in the underground palace with respect. In front of him was a throne but no one was on it. Below the throne was a bath of blood which bubbled and smoked. A flash of the color of blood appeared and an aura with a terrifying aura came into view. The figure was filled with dark silver lines and was like a ‘blood-colored corpse’ which made others look up in fear. The blood colored corpse sat down on the throne. If Zhao Feng was here, he would recognize this ‘silver striped corpse’ as the 'Blood Corpse Protector'. The blood robed man said uneasily. The silver striped ‘Palace Lord’ asked faintly and obviously had a faint impression of the Blood Sickle Slaughterer. The blood robed man said. The Blood Corpse Palace Lord’s expression changed and even the blood robed man who told the story was surprised. Ever since the creation of the Iron Dragon Alliance, this was the first time they had met this situation. An enemy purposely leaving someone alive to report back. Such an arrogant person even made this Scarlet Moon Palace Lord feel shocked. The Iron Dragon Alliance ruled the Cloud area and their forces were expanding. Those that normally were pursued by the Iron Dragon Alliance did their best to run and hide and even if they couldn’t they did their best to kill them. Who would dare to leave someone alive? This was provoking the Iron Dragon Alliance. The Blood Corpse Palace Lord’s face was filled with cruel killing intent. The blood robed man said uncertainly and then took out a drawing. This drawing was made by the Blood Sickle Slaughterer’s summary before his death. The Blood Corpse Palace Lord’s cold voice resounded across the underground palace and the heart of the blood robed man jumped. The number of Rank One Killing Order’s sent by the Iron Dragon Alliance since the start of its creation could be counted with one hand. Normally, only those at the True Lord Rank or those who humiliated the Iron Dragon Alliance would have the Rank One KillIng Order. This was technically the highest wanted order for the Iron Dragon Alliance. The blood robed man took back the drawing and was about to leave. The Blood Corpse Palace lord’s eyes scanned over the drawing and exclaimed out loud. The blood robed man could detect emotions very well and handed over the drawing. The Bloor Corpse Palace Lord took the drawing and his expression started to change as he remembered a piece of memory. Could this Palace Lord, one of the deciders of the Alliance, know the youth? The Blood Corpse Palace Lord stared at the drawing for a long time and felt it was very familiar to a youth. Thinking back to the humiliation that youth had given him, the Blood Corpse Palace Lord was engulfed in anger. Back then at the Scarlet Moon Cave, the Blood Corpse Protector had just woken and was in a weakened state. At that point in time, he had wanted to use Zhao Feng and company to use as a blood sacrifice but was instead defeated by Zhao Feng. The Blood Corpse Palace Lord took his gaze back from the drawing. Several years later, Zhao Feng’s appearance and characteristics had changed so although the Blood Corpse Palace Lord felt that he was familiar, he wasn’t certain. Several days later, within the Sky Rich strong country mountains. An eagle flew tiredly through the air. The eagle landed into a canyon surrounded by mist. A small village appeared in sight. Elder Jiang was scared that Zhao Feng would keep on sleeping. Over the past few days, Zhao Feng’s ‘sleeping problem’ didn’t show any signs of changing but every time he woke up his left eye would turn to watery blue. Zhao Feng’s icy cold aura started to become cool and his blue hair became softer. The nine-point nine yard frozen pond had almost fully melted into water. Elder Jiang immediately said but soon after he spoke. A beauty wearing a blue dress walked out from the village. Her voice was as soft as wind and had an air of elegance to her. She didn’t lose her n.o.bility and her looks were definitely top tier amongst the Cloud area. Compared to her, the number one beauty of the Sun Feather City was like rice grains compared to the glow of moonlight. The eyes of all the males present lit up and their footsteps paused. 'Princess Jin' was the quiet, elegance type of woman most men liked and she was once the Princess of a strong country. Princess Jin had come back from the Sacred True Dragon Gathering not long ago and there were legends about her already. 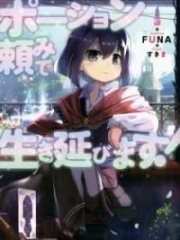 You're reading novel King of Gods Chapter 446 - Princess Jin online at LightNovelFree.com. You can use the follow function to bookmark your favorite novel ( Only for registered users ). If you find any errors ( broken links, can't load photos, etc.. ), Please let us know so we can fix it as soon as possible. And when you start a conversation or debate about a certain topic with other people, please do not offend them just because you don't like their opinions. You're reading King of Gods Chapter 446 - Princess Jin. This novel has been translated by Updating. Author: Fast Food Resturant,快餐店 already has 8237 views. Current Time is Apr-21-2019 14:28:50 PM.